Add your routes. How does it work? We now offer ground transportation services in Mauritius, over 50 destinations from SSR International Airport to towns and hotels around Mauritius. Book your airport pickup or drop-off in advance with our local drivers online, 24/7. 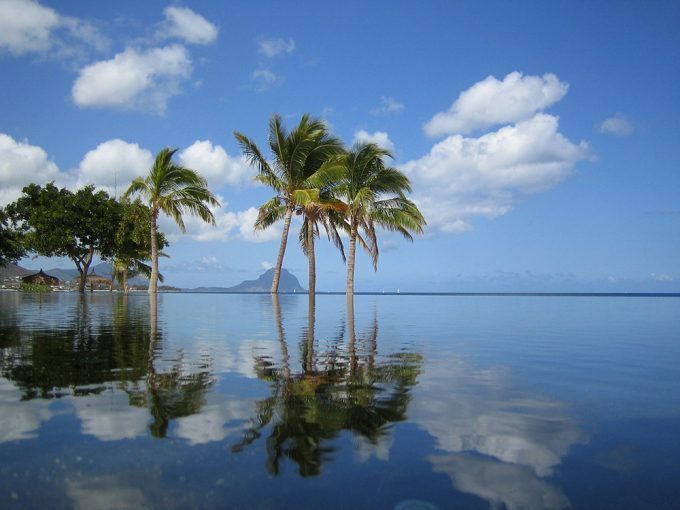 Local suppliers in Mauritius will be happy to provide you with ground transportation (private or group transfers) to cities around the island: hotel transfers, and door-to-door services. Click here to book your shuttle transfer. Shuttle Booking International: the first booking platform managed by the service providers themselves, connecting you with local drivers and transport companies from around the world. In need of a private one-way shuttle transfer from New York to Pennsylvania? Book it with us ahead of time! This door-to-door, private one-way shuttle transfer provides you ground with transportation for 1-3 passengers, or 4-6 passengers. Book your transfer and let us do the rest. History is what makes visiting Pennsylvania a unique experience. The United States nation was born in Philadelphia, saved at Gettysburg and ushered in the Industrial Revolution in cities like Pittsburgh, Johnstown, Scranton, Allentown, Erie, and York, to name a few. It was on Pennsylvania soil that the South seceded to the North, spelling out a tale of American history. In the shadow of the Civil War, Pennsylvania emerged with a strong and robust economy, its industries catapulting the Commonwealth into a manufacturing leader. Pennsylvania’s Dutch country roads feature the best of agritourism no matter where you turn. 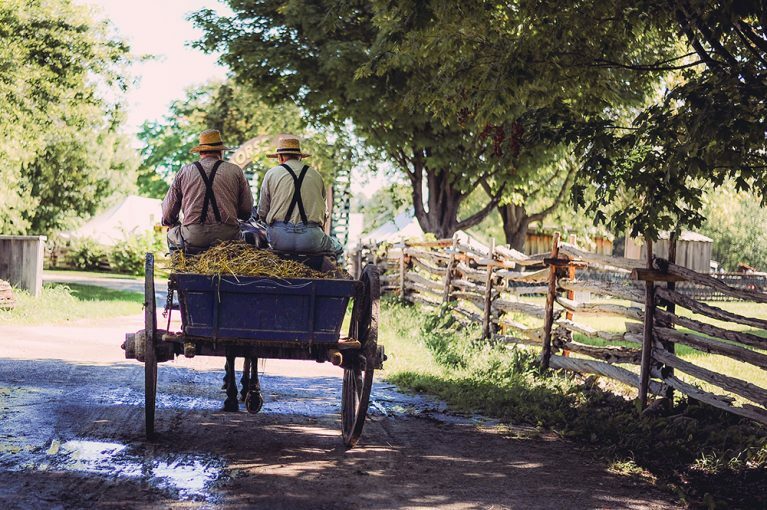 Amish farmers and their teams of horses, tiny little roadside stands offering farm-fresh produce and baked goods for sale, winding vineyards and orchards that let you pick fresh apples and pears right off the trees — what more could you want? Take a look at farming that uses top-line technology or another that still milks cows “the old fashioned way.” Or just loosen that waistband and fill up sampling all of that harvest bounty. We guarantee you won’t leave hungry! In Pennsylvania, all roads lead to history. At every turn, historical museums, battlefields, memorials and landscapes tell the nation’s story. Book your private one-way shuttle transfer from New York to Pennsylvania now! Shuttle Booking International is the first booking platform managed by the service providers themselves. We connect you with local drivers and transport companies around the world. In need of a private one-way transfer from Hewanorra International Airport, Vieux Fort, to Bay Gardens Beach Resort & Spa, Gros Islet, Saint Lucia? Book it ahead of time! This shuttle service – a door-to-door, private one-way transfer – provides you ground with transportation for 1-2 passengers, or 3-4 passengers. Book your transfer and let us do the rest. St. Lucia is the sort of island that travellers to the Caribbean dream about: a small, lush tropical gem that is still relatively unknown. One of the Windward Islands of the Lesser Antilles, it is located between Martinique and St. Vincent, north of Barbados. It is only 27 miles long and 14 miles wide, with a shape that is said to resemble either a mango or an avocado. The Atlantic Ocean kisses its eastern shore, while the beaches of the west coast owe their beauty to the calm Caribbean Sea. St. Lucia seems like an island plucked from the South Pacific and plopped down in the middle of the Caribbean. Its dramatic twin coastal peaks –the Pitons–, soar 2,000 feet up from the sea, sheltering magnificent rain forests where wild orchids, giant ferns, and birds of paradise flourish. Brilliantly-plumed tropical birds abound, including endangered species like the indigenous St. Lucia parrot. The rain forest is broken only by verdant fields and orchards of banana, coconut, mango, and papaya trees. St. Lucia’s cultural treasures are a fascinating mix of its rich past and its many different traditions. The island’s people have earned a well-deserved reputation for their warmth and charm, and the island itself is dotted with old fortresses, small villages, and open-air markets. 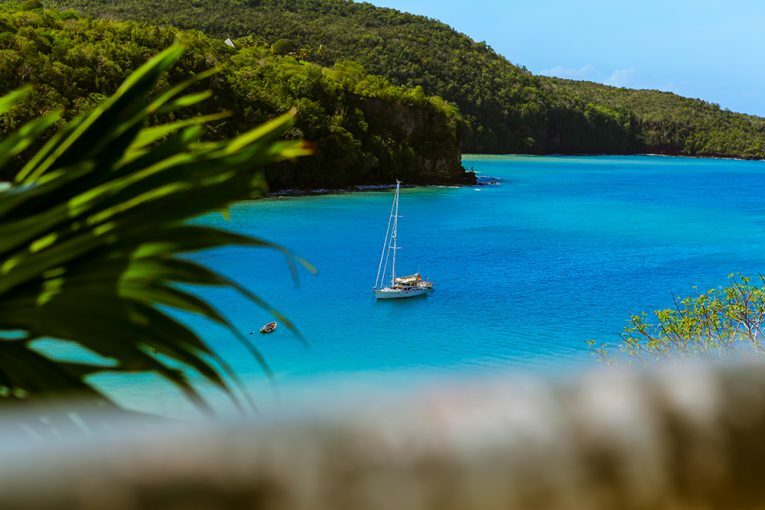 There is a broad array of exciting and exotic activities available on St. Lucia. The island’s steep coastlines and lovely reefs offer excellent snorkeling and scuba diving. The rain forest preserves of St. Lucia’s mountainous interior are one of the Caribbean’s finest locales for hiking and bird watching. Of course, the island also possesses excellent facilities for golf, tennis, sailing, and a host of other leisure pursuits. Not to be missed is St. Lucia’s Soufriere volcano, the world’s only drive-in volcanic crater. You can’t miss it! Book your private one-way transfer for St. Lucia now. In search of a private door to door transfer, from Faro Airport to Granada, Spain? Book it ahead of time! This shuttle service, a round trip, private door to door transfer, provides you ground with transportation for 1-4, 5-8, 9-12, or 13-16 passengers. Ask us about pickup and drop-off services to your hotel. Book your transfer and let us do the rest: arrive in style in our fleet with free WiFi on board. There are many reasons to visit Granada. The one city that truly evokes the essence of Spain is Granada. A cross-roads of civilizations since time immemorial, it is a vibrant, friendly and lively metropolis full of culture. The Alhambra stands on a hilltop overlooking a city that attracts around three million visitors every year. Starting in AD 711, the Umayyad conquest of Hispania brought large parts of the Iberian Peninsula under Moorish control and established Al-Andalus. In the early 11th century, after a civil war that ended the Caliphate, the Berber Zawi ben Ziri established an independent kingdom for himself (the Taifa of Granada) with Illiberis as its capital. Jewish people were established in another area close to Illiberis, called Gárnata or Gárnata al-Yahūd (“Granada of the Jews”). Granada’s historical name in the Arabic language was غرناطة (Ġarnāṭah). The Alhambra is a Nasrid “palace city”. It was declared a World Heritage Site by UNESCO in 1984. It is certainly Granada’s most emblematic monument and one of the most visited in Spain. 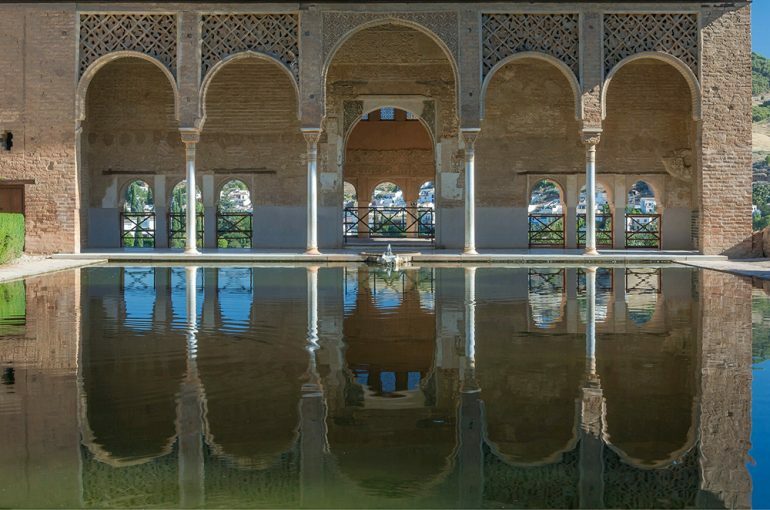 It consists of a defensive zone, the Alcazaba, together with others of a residential and formal state character, the Nasrid Palaces and, lastly, the palace, gardens and orchards of El Generalife. Are you in need of a private shuttle, round trip, from Montenegro to Berat, Albania? Book it ahead of time! This private shuttle, round trip airport transfer service provides you ground with private transportation for 1-4 passengers. Ask us about pickup and drop-off services to your hotel. Reserve your round trip transfer here! Albania. Go your own way. In this small Mediterranean country, virgin nature and cultural mysteries come together to create a unique sense of place. From the pure, white snow of the mountains to the red fields of spring poppies, Albania’s landscape is ever-changing with the seasons, offering visitors a warm, summer beach holiday, or a challenging mountain trek during the fall. There, visitors are welcomed as guests as part of the country’s rich cultural traditions and heritage. The warm hospitality of Albanians will make everyone feel at home in this small, wonderful land. While there, visit Berat. It’s a 2,400-year-old town in south-central Albania, known as “the town of a thousand windows”. One of the oldest and most beautiful towns there, settlements have existed there since at least the 6th century BC. It was then a fortified settlement of the Greek Dassaretae tribe on the old border between Illyria and Epirus. The old town was listed as a UNESCO World Heritage site in July 2008. 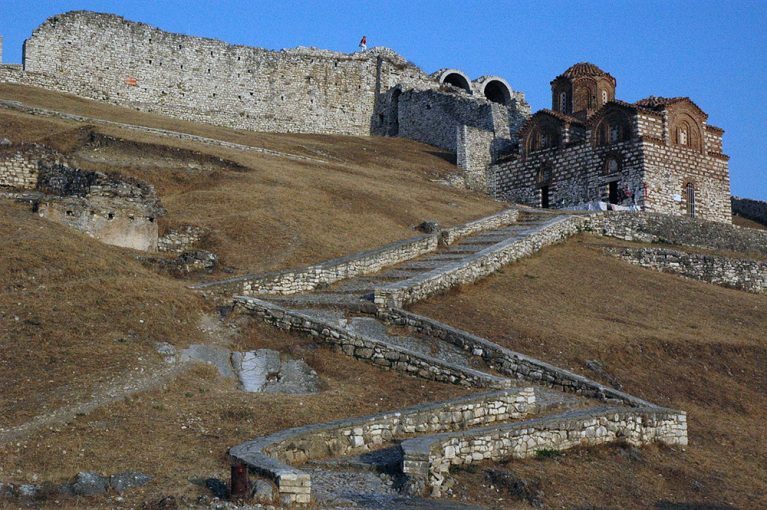 Berat’s ancient citadel looms high above the newer part of the city. You can get up there on a tricky cobblestone path. There’s been a fortress here since the 300s, but the walls and towers as they appear today are from the 1200s. 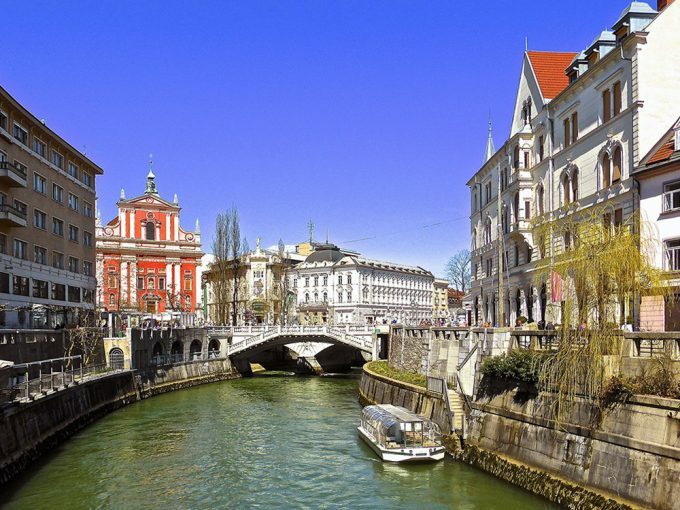 Do you need a one way airport transfer from the airport in Ljubljana, Slovenia? Reserve in advance! This one way airport transfer service provides you ground with private transportation for 1-3 or 4-8 passengers. Ask us about pickup and drop-off services to your hotel. Book it here! Ljubljana, the European Green Capital 2016, is a city with a green soul. Why choose it as the destination for your next meeting or visit? In short, because it’s fresh, green and funky. Here are the 10 reasons: its compact size; quality meeting venues; state-of-the-art equipment and great service; an array of special event venues; creative products; the city with a green soul; numerous international accolades; really amazing people; a great culinary experience; and scenery all around. 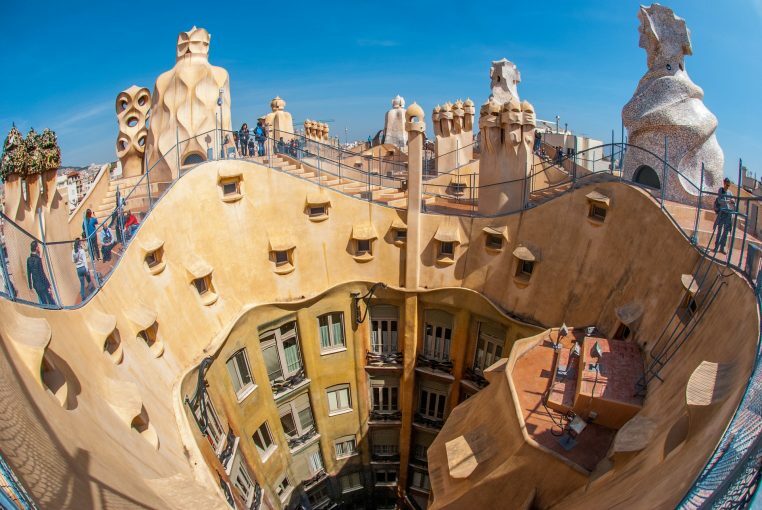 It is often referred to as the hidden gem of Europe. Its old city center is full of outstanding architecture, with a medley of styles from different periods in history. It was all bound together by the world famous architect and urban planner Jože Plečnik. Looking for a one-way shuttle transfer for business trips or tourism in Brittany? Plan ahead and book in advance! This one-way shuttle transfer service provides you ground with private transportation for 1-3 or 4-6 passengers. Ask us about pickup and drop-off services to your hotel. Book it here! Walking around Dinard, with its Belle Époque villas and stripy beach tents, is like taking a trip back to the 19th century. It is popular with families who are attracted by its sandy beaches and coastal walks. Nearby St. Briac and St. Lunaire are also worth a visit. 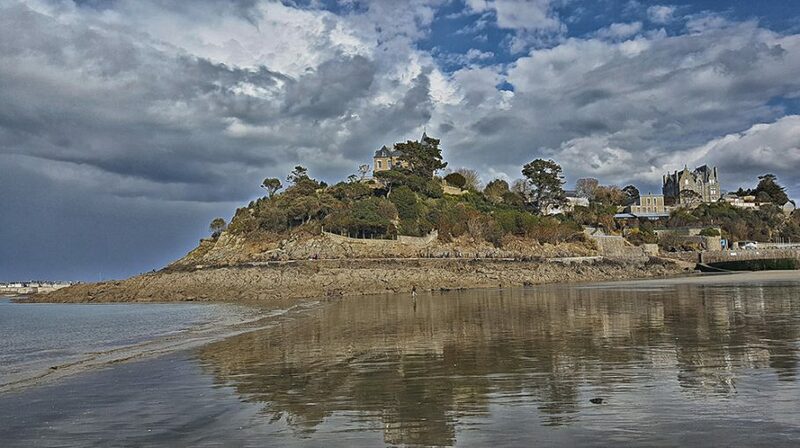 Made popular by British and American visitors in the 19th century, Dinard was France’s top summer resort until the French Riviera took over in the 1930s. This former fishing village attracted wealthy celebrities and businessmen as well as European royalty, some of whom built fabulous villas; there are now more than 400 listed buildings in the town. 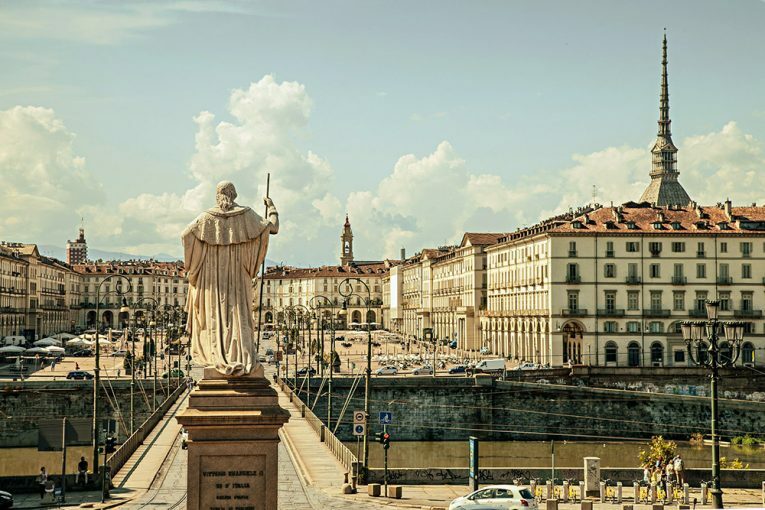 Reserve a private shuttle transfer service from Cannes, France to Turin, Italy. Reserve your high-quality, customized transport service and shuttle, for personal or professional reasons. Our local suppliers with experience, know-how and professionalism will be happy to provide you with shuttle transfers to and from hotels, train stations, ports, airports, tourist visits, and even further afield. The name “turin” originates from “Tau”, a Celtic word that means mountains. The Italian name, “Torino” translates into “little bull” (note the coat of arms and symbol of the city). In pre-Roman times, the area was settled by the Taurini, who were ancient Celt-Ligurian people. In the first century B.C., approximately 28 B.C., the Romans created a military camp called, Castra Taurinorum. The distinctive Roman street grid can still be seen in the modern city. After the fall of the Roman Empire the city was conquered by the Lombards, followed by the Franks. Piazza San Carlo, via Po and the Royal Palace were built in this period. After the Treaty of Utrecht, the Kingdom of Sardinia was annexed to the Duchy of Savoy. After a brief occupation by Napoleon in 19th century, the city began to actively pursue the unification of Italy. In 1871, the Frejus Tunnel was opened, making Turin a significant communication mode. The Museo Egizio, the Mole Antonelliana, the Gran Madre church and Vittorio Veneto square were built at this time. Turin became the capital of the newly proclaimed United Italy in 1861. In 1865 the capital was moved to Rome, but since 1870 the capital of Italy has been Rome. It was around this time that Turin began a rapid industrialization period. After WWI, conflicts between workers and industrialists began. The first strikes took place in 1920, when the Lingotto factory was occupied. After WWII, Turin was quickly rebuilt and its industries greatly developed. This resulted in waves of immigration, notably in the southern regions of Italy. In the 1980s, industrial crises hit the city and its population began to decline. Learn more about Turin here. Book your round-trip, private shuttle transfer service for 1-4, or 5-7 passengers from Cannes in Turin. Follow us on your preferred social network, and stay informed and other airport transfers we offer around the world! Reserve a round trip private shuttle transfer from Rouen, France to Charles de Gaulle Airport in Paris. This is a high-quality transport service and shuttle at an economic price. Our local suppliers will be happy to provide you with your required ground transportation, or a round trip private transfer. We can provide: pickup/drop-off services to your local accommodations, hotel transfers, cruise terminal drop-offs, and connections with train platforms. 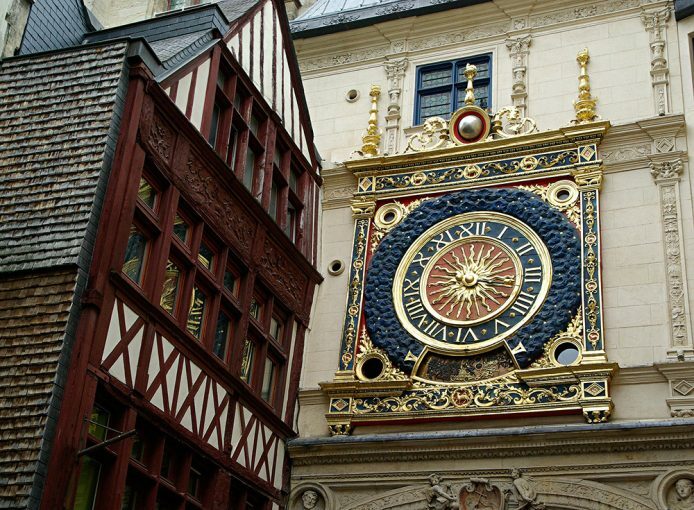 The Gros-Horloge (A 16th-century archway on which a large, ornate Renaissance clock is mounted) – Notre-Dame Cathedral – Half-timbered houses – The port and river tourism – Notre Dame de Bonsecours – The Manoir de Villers – Museums (Fine Arts, Gros-Horloge, Museum of Natural History, Ceramics, Secq Tournelles Metalwork museum, Jeanne d’Arc, Flaubert, Flaubert Pavilion, the Corneille Museum, the FRAC, the Corderie Vallois) – Gothic churches (Saint-Ouen Abbey, Saint-Maclou, St. Patrick, St. Godard, St. Vivien) – Unique attractions (the Saint-Maclou aster, the Bourgtheroulde hotel, and “la maison sublime” [the Rabbinic School of Rouen, a centuries-old Jewish monument]) – The Old Market Square and Church St. Joan of Arc – Parliament of Normandy – Parks, gardens and forests – Valley of the Seine – Nearby: Giverny, Étretat, Honfleur, Deauville. See more about Rouen here. Book your round trip private shuttle transfer for 1-4, or 5-8 passengers from Rouen in France to Charles de Gaulle Airport in Paris. Reserve a private shuttle transfer from Cannes, France to Barcelona, Spain in advance; this is a round trip shuttle service. Our local suppliers are happy to provide you with a private or business transfer, taking care of everything for your event with quality, customized service: book your transfers to or from hotels, train stations, ports, airports, tourist sites, or further afield… just relax and let us drive you! Book your round trip private shuttle transfer for 1-4, or 5-7 passengers from Cannes in France to Barcelona in Spain. Copyright - 2015 - Shuttle Booking International.